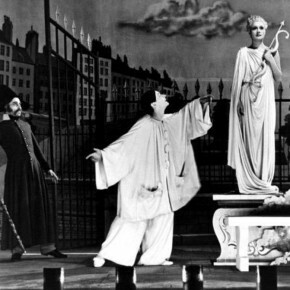 Will Noah reflects on catching up with the film canon, in which Marcel Carné’s Children of Paradise has a secure spot. Hemingway was wrong. An honest story is not necessarily an interesting one – unless the storyteller lives like Ernest Hemingway. Case in point: Abel Ferrara’s new doomsday drama 4:44 Last Day on Earth. Terence Davies’ new film The Deep Blue Sea distinguishes itself as a member of a rare cinematic breed: theatrical adaptations that work as well visually as they do dramatically.